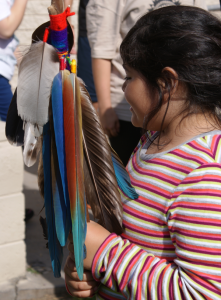 The Four Corners Spirit Run in alliance with the Gabrielino Tongva Springs Foundation and the Pico Youth & Family Center holds this spiritual community building run every spring. 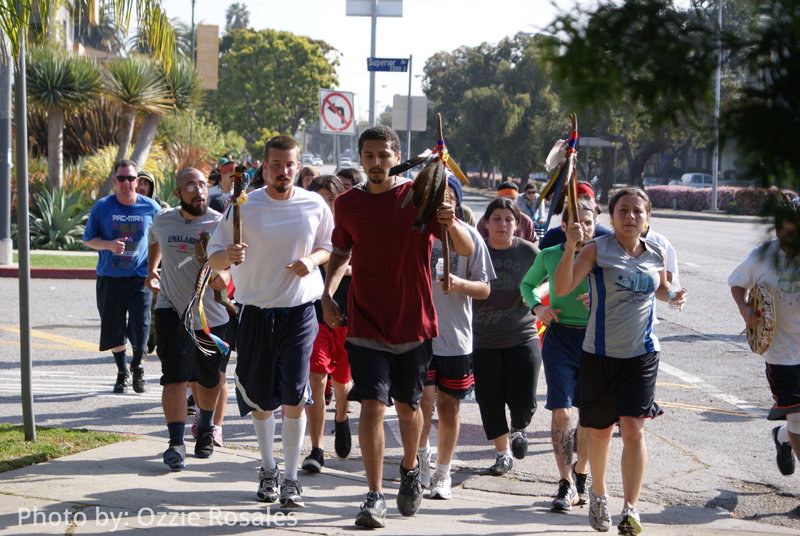 The Four Corners Spirit Run was started in 2005 by local Indigenous spiritual activists with the intention of providing the Native Mexican/Native American youth & families in West Los Angeles with culturally relevant community building programs as well as to promote the development of positive Indigenous identity & values. 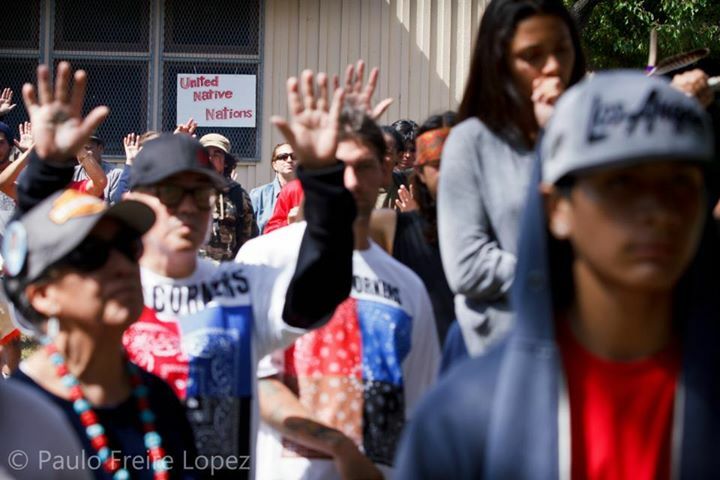 The Four Corners name was established in the 1970s when Chican@ community activists came together to end neighborhood tensions in the West Los Angeles communities of Culver City, Venice, Sotel, and Santa Monica. The name is inspired by the historical migrations of the Mexicah/Nahua and other Mexican Indigenous peoples with creation stories originating from what is now called the Four Corners area of the Southwest United States. It’s a name used to promote Unity, a return to the traditional ways (origins) of the Ancestors, and is also symbolic of the Four Directions-Medicine Wheel which is the epicenter of Indigenous Spiritual and Community Values. Ceremonial Running has been an Indigenous tradition throughout the Americas for thousands of years. 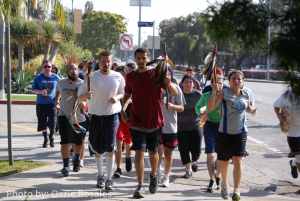 Several tribal nations throughout North America, Central Mexico, and South-America have practiced community running in ceremonial contexts for a myriad of reasons. These community events have a sacred importance because a community-relevant message/intention/request is being carried for the people as a whole and delivered through an act of self-sacrifice. The message we are bringing throughout West Los Angeles via the Spirit Run is one of Community Healing, Respect for Sacred Community Spaces & Environments, Meditative Self-Awareness, and Community Responsibility. This ceremony is a profound educational and healing event for all who participate in it. 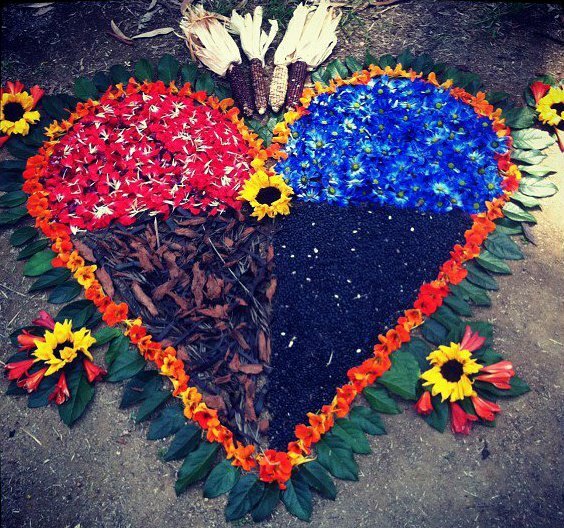 The Spirit Run strengthens inter-community relationships (both local communities and inter-tribal communities), promotes the awareness of locally accessible Indigenous Sacred Sites, and nurtures healthy mental, physical, spiritual, and emotional states of being. 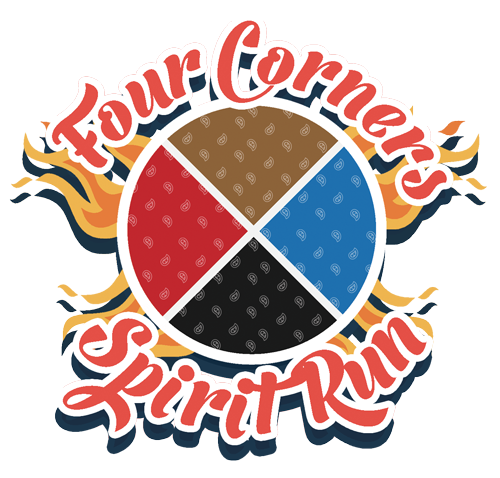 The Four Corners Spirit Run is unique in that it brings ceremony to urban Native-Indigenous youth, and provides a real sense of belonging to our extended Indigenous Nations.